Stripes & Lace Princesa de Eboli Tudor Pirate Waist Cincher. Made with high quality cotton stripe fabric and backed with strong cotton drill. 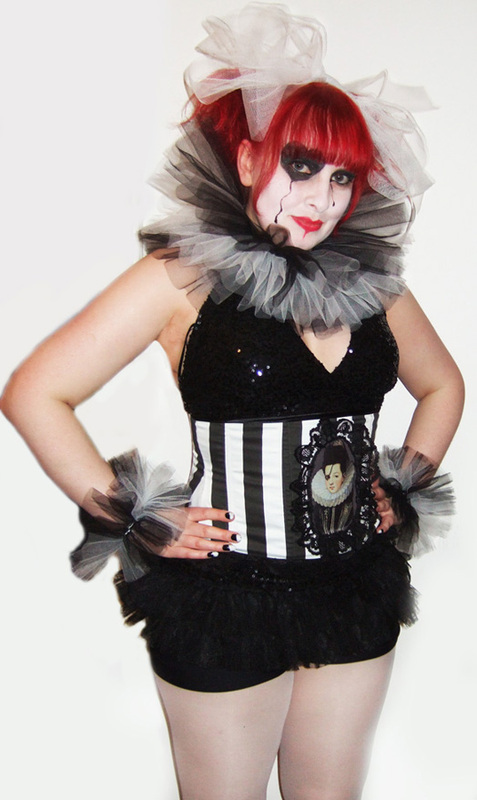 This corset can be made with just about any image! So if you want a custom one made just email us. Also available with Red & Black stripe fabric. Length - 8 inches at center front (exc lace frill).